Evo & Grace: The WanderLusts: Paglayag, a young expression of art by Palaweňos. 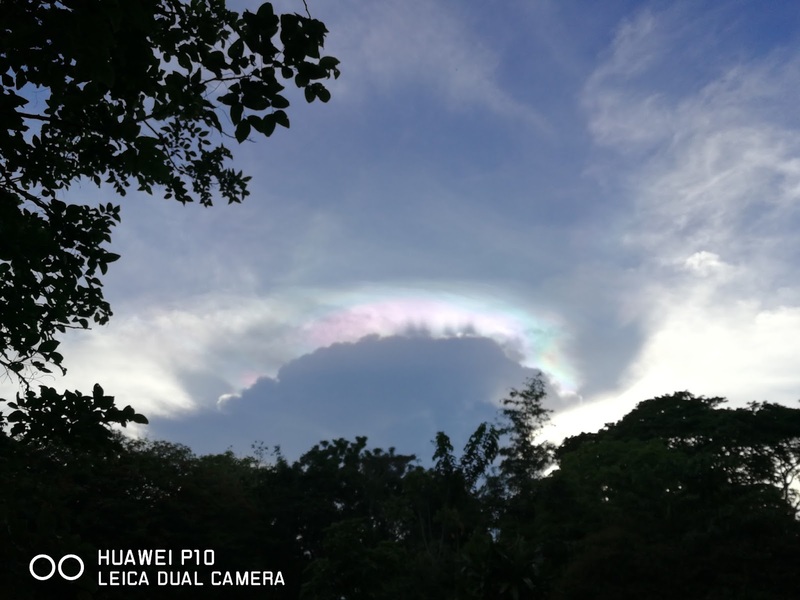 It was the end of summer, and the sky is showing a magnificent color combination above, a contrast of magenta to blue green is smiling above Dang Marias Bed and Breakfast Restaurant in Brgy. 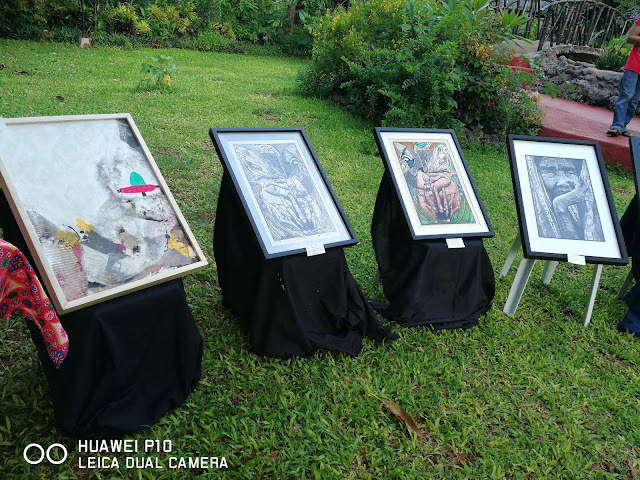 Bancao-Bancao, in the City of Puerto Princesa, and it’s the opening of “Paglayag Art Exhibit”. 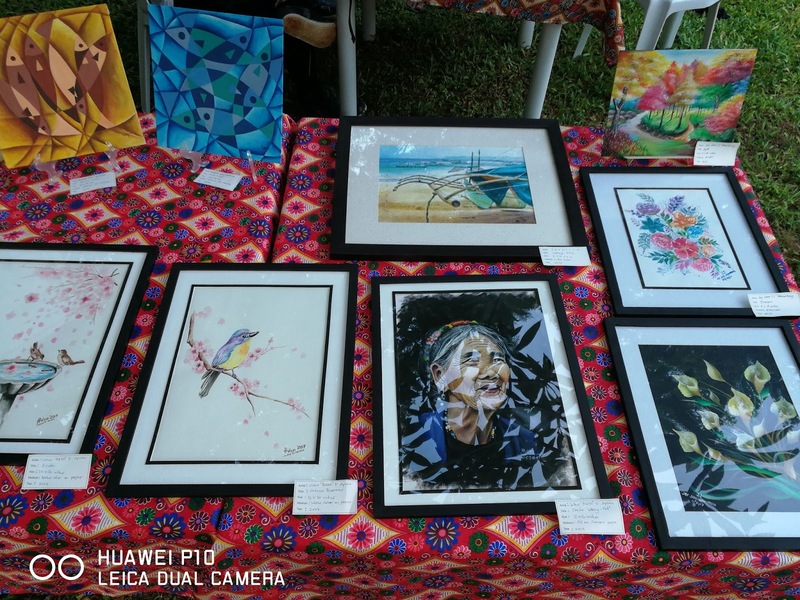 A one day event organize by the Puerto Princesa “Peacock Jaycees” with Art On The Move”. The well attended event showcase different visual arts with different themes mostly people and its surroundings, the environment and some artistic expression. 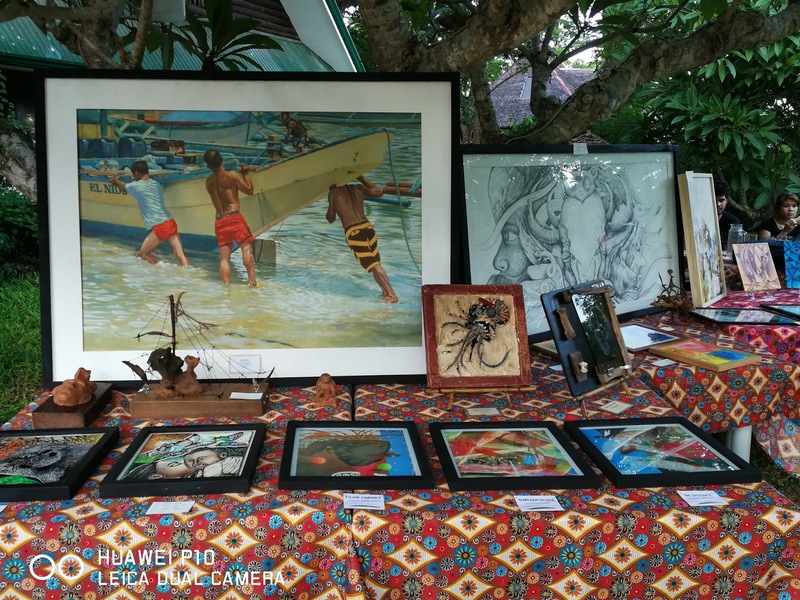 Art works came from the young members of Art OnThe Move, a community of Palawan artists that was form thru travelling bazaar and exhibits. Paglayag also present some art installations. 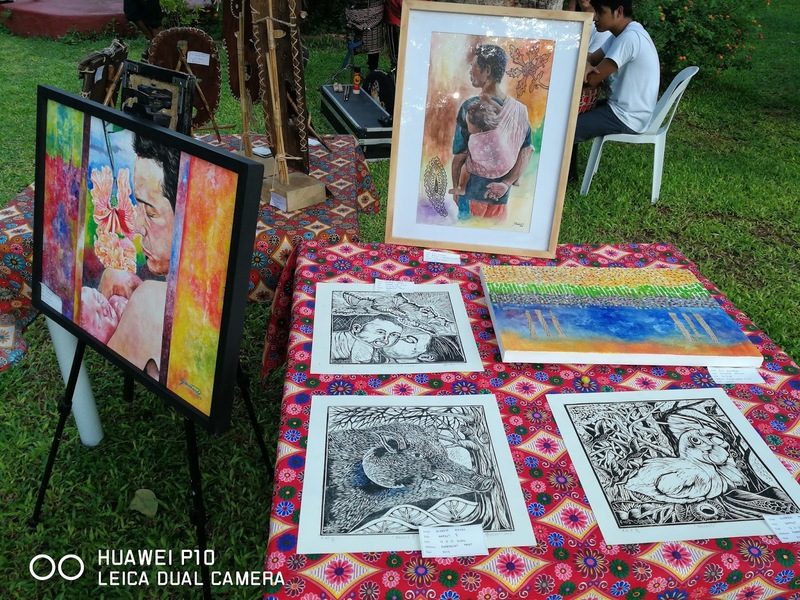 Kawangis band also perform throughout the program. Nanay "Dang Jane Urbanek" open the exhibit. Proceeds of the Exhibit goes to “Bag to School” campaign of Peacock Jaycees. 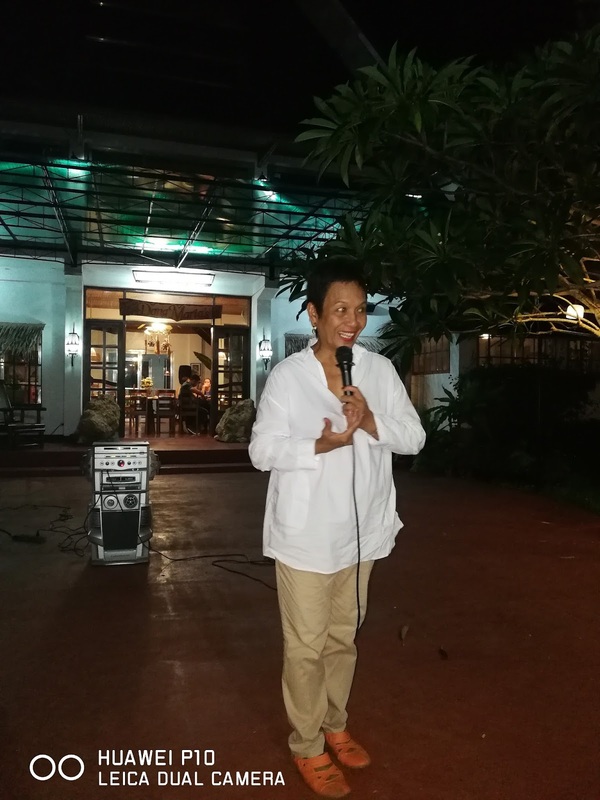 The said group is a leadership organization of young professional preferably women in the City, it is affiliated with the Philippine Jaycees, Inc. Dang Marias owner Jane Urbanek open the said event. The maginificent sky above Dang Maria's.